This charming beach bungalow has seen many lazy afternoons, sandy feet, cold bevvies and books enjoyed under the sun. It's now your chance to enjoy the simple, coastal lifestyle. Nestled in its idyllic setting just a stroll away from the beach, you'll enjoy balmy summer nights and cool winter walks in your own slice of paradise! Special care and attention has gone into the modern revival, whilst still retaining the delightful character of its birth year. The home features a huge covered north facing sunny deck - the perfect spot to entertain or simply take a break from the world with your morning coffee or evening wine. The kitchen is a culinary lovers joy and the wonderful open plan living allows for banter and interaction with family and friends who will want to gather frequently in this special spot. The generous internal garaging offers storage, space for the home handyman, toys and cars or an additional living space. 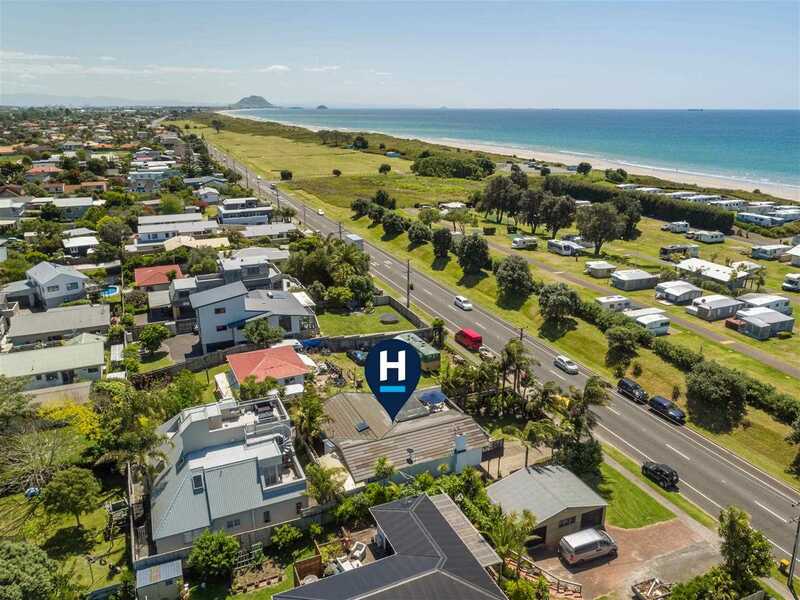 With the Papamoa Surf Club, Fashion Island, Papamoa Plaza, cafes, restaurants and entertainment an easy stroll away, this location is perfect for those that want a laid back beach lifestyle whilst still enjoying the café culture, markets and life's necessities at your fingertips. If you want sun, sand and a simple care-free lifestyle in a dream Papamoa location then this abode deserves your immediate inspection! Our vendors are motivated to meet the market. Chattels remaining: Fixed Floor Coverings, Drapes, Dishwasher, Waste Disposal, Wall Oven, Gas Hob, Rangehood, Heatpump x 1 & 1 Remote, Heated Towel Rail x 1. EXCLUDED CHATTELS: Drapes in second bedroom.